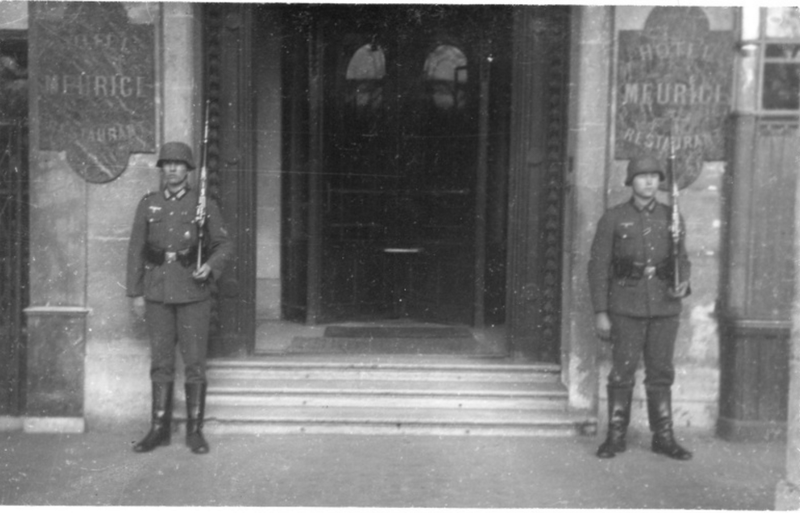 In early August 1944, Adolph Hitler appointed German army general Dietrich von Choltitz to become Governor of Paris. In his 50s was a career army officer. He arrived in Paris with personal orders from Hitler to destroy Paris beginning with cultural and religious entities. As allied forces closed in on Paris after the June D-Day landings, the French Resistance became more emboldened as it skirmished with the 17,000 German soldiers stationed in the Nazi occupied city. Toward the end of August a miracle occurred. General von Choltitz defied Hitler’s orders and surrendered Paris to the Free French forces even though he could have executed prisoners and blown up historic landmarks. None of the iconic landmarks were destroyed. 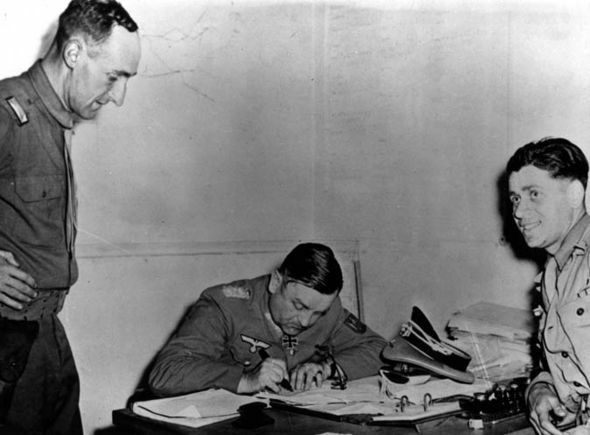 Historians disagree on whether this image depicts General von Choltitz signing the surrender of Paris to the Allies or was he signing a routine requisition order as to where to send his personal belongings now that he was a prisoner of war. Fact: Image is Gen. von Choltitz. The general believed the war was lost and Hitler was insane. He saw no reason to burn Paris. For his decision some called him the savior of Paris. In post war years, Von Choltitz did not believe he was a savior. He was held by the U.S. until 1947. He died in Germany in 1966 at the age of 71. In 2004, Henri Froment-Meurice, an eminent French diplomat whose career included a spell as ambassador to Germany. writing in the French newspaper Le Figaro, on his countrymen, "and everyone in the world who loves Paris," not to forget the German officer.